You can allow your members to log in to the site using their linkedin account. 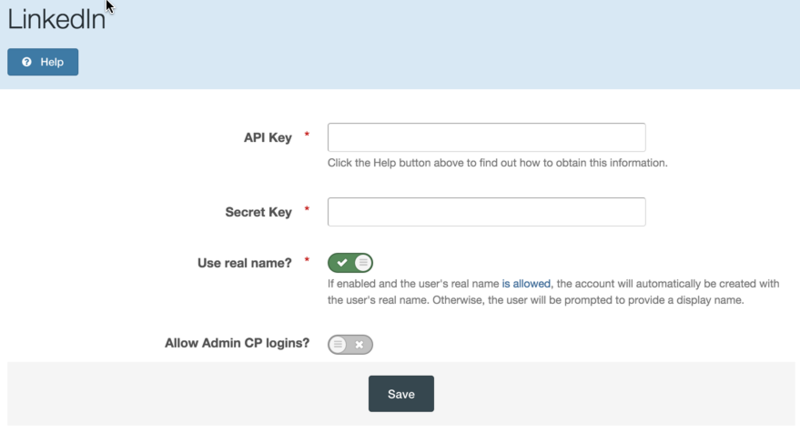 In order to do this, you will need to set up the linked in login method within your admin CP. You will first of all however need an API key in order to do this. 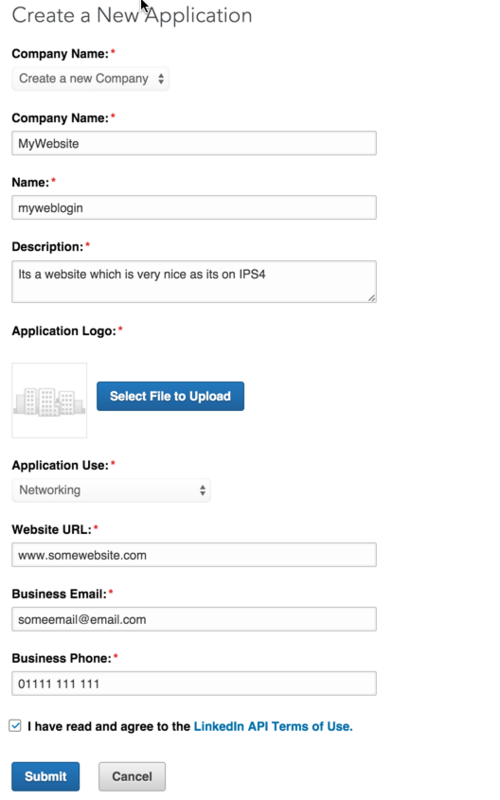 You will first of all need to fill out your company/website information. Note that at present the application logo must be 80px x 80px and square. Once done, select submit. On the next page, you will need to select the r_emailaddress checkbox which is not selected by default. You will also need to enter the authorised Redirect URL as shown in the image below. You need to point this to the auth.php file for linkedin, which you can see the location to below. In this example our site is located in example.com/community/ . You would need to amend as appropriate. Ensure that you select the "Add" button after entering this. 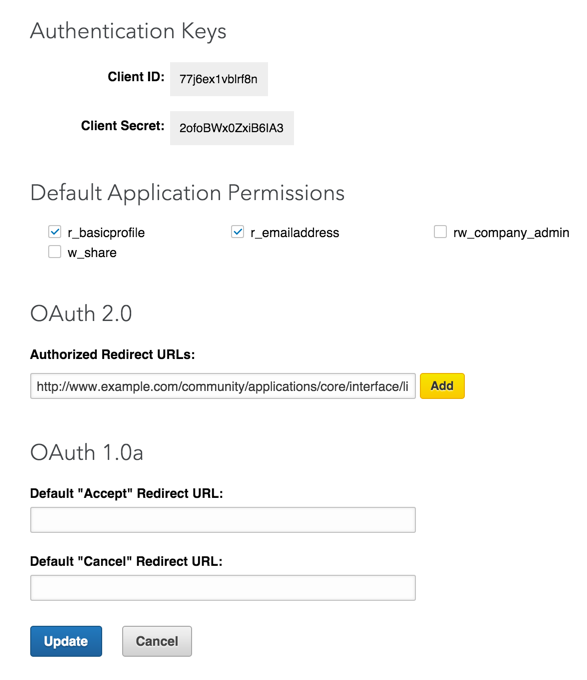 On the previous page you will see Client ID and Client Secret. These are then needed within the following location in your admin CP.